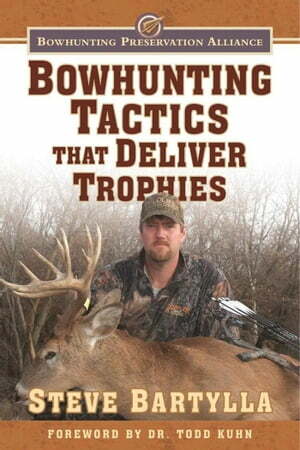 Collins Booksellers - Bowhunting Tactics That Deliver Trophies by Steve Bartylla, 9781510719088. Buy this book online. Steve Bartylla gets down to the nuts and bolts of what it takes to bowhunt public land whitetails today. Bartylla consistently proves that hard work, an in-depth understanding of whitetail deer and how they use terrain—combined with an ability to read aerial photographs and interpret contour maps to find pockets where mature bucks exist—are the necessary tools for a bowhunter's success. In Bowhunting Tactics That Deliver Trophies, you will find excellent advice on determining what food sources are hot during different times of the year, inside tips on what really happens when hunting with wind in your face, and how to get the most from each and every tree stand. Bartylla also shares savvy advice on hunting from ground blinds, how to maximize your time when hunting public land, and the most effective trailing tools to find your buck. Whether you are just beginning to hunt with a bow or you are a seasoned bowhunter, you will find a tremendous amount of information that you can use each and every deer season.